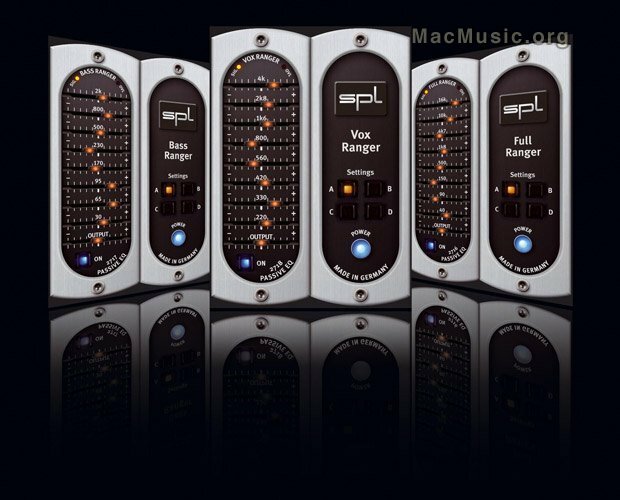 SPL of Germany, well-known manufacturer of analog hardware processors, will present their first software plug-ins on the 125th AES Convention in San Francisco. The Transient Designer and a series of EQs mark the start for a new era in SPL's company history. The Transient Designer and a set of three EQs (Vox Ranger, Bass Ranger and Full Ranger, based on the passive graphic equalizers of the SPL RackPack) will be available as RTAS, VST and AU versions. TDM versions are soon to follow. The new SPL Analog Code plug-ins debut at the Digidesign 3rd party booth POD 1810.